Meet our Kaizen Promotion Office (KPO)Team! The Harbor-UCLA Kaizen Promotion Office is small but mighty. We pride ourselves with leading, teaching, modeling the principles of Lean in every aspect of our work and continuously look for ways to improve. 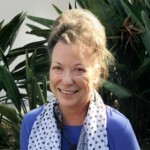 Susan holds a Master of Science in Nursing from California State University, Long Beach; and a Bachelor of Science in Nursing from the University of Texas. She has over 30 years of experience in healthcare and has a varied clinical background both as a registered nurse and as an adult nurse practitioner in acute care as well as community settings. Susan has spent the past 20+-years dedicated to improving healthcare quality. 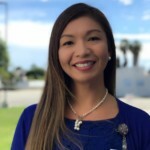 She currently serves as the Chief Kaizen Promotion Office for Harbor-UCLA Medical Center and is responsible for implementation of the hospital’s quality improvement program through implementation of the Lean management system. Susan is a passionate educator and has mentored many students in quality management from various programs across the country. She has received a number of awards including the National Management Association Silver Knight Award and Golden Knight Award for Outstanding Leadership. Susan is a proud grandmother of two of the cutest kids that ever wore diapers! In her time away from the hospital, she devotes her time to a faith-based, non-profit sober-living home for women that she co-founded in 2003. Denise is a passionate registered nurse with a strong clinical background having been a bedside nurse for about five years in the trauma medical surgical step-down unit and the trauma and cardiothoracic intensive care units. She started her Lean journey in the Kaizen Promotion Office in 2015 and utilizes her clinical experience to help staff and leaders to understand and apply the Lean methodology in the clinical settings. Denise is a talented educator and mentor, and enthusiastically works with new employees, students and volunteers helping the next generation of leaders to “catch the vision”. In her time away from the hospital, Denise enjoys hiking and spending time with her family and friends. 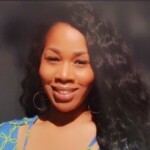 Annette proudly graduated from the Los Angeles County College of Nursing and Allied Health in 2006. Prior to transferring to the Kaizen Promotion Office in 2016, Annette has an extensive eleven-year critical care background, primarily at 4 West Cardiology ICU and 3 West Trauma-Surgical ICU, and continues to maintain her CCRN(R) certification. 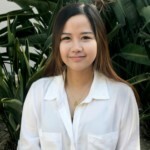 Growing up at Harbor-UCLA—as a student, a student nurse worker, an RN-Interim Permittee, and a New Graduate Program alumni—gave Annette a multidimensional perspective on patient care and process improvement. She has been inspired by her patients, dedicated mentors, and passionate colleagues to continuously strive for efficient yet high-quality care. Rachel is a registered nurse, who graduate from the Los Angeles Harbor College in 2010. Rachel began her nursing career serving the South Bay communities as a home health and a case manager nurse. She then began her nursing tenure with Los Angeles County at the Neonatal Intensive Care Unit (NICU) of Harbor-UCLA Medical Center on February 2013. As a bedside nurse in NICU, Rachel carried a special place in heart caring for neonate, preemies, and “miracle” micro preemies with the earliest to survive being only twenty-three weeks old and barely over one pound. Along with caring for these delicate lives, Rachel closely interacted with her patients’ parents and families, educating and updating them on the specialized care being provided for the babies. Rachel completed her Bachelor’s Degree in Mass Communication at the Assumption College, Philippines in 1991. She also carries over her ten years of experience in human resources (HR) with various industries such as healthcare, telecommunications, and software. Her vast experience in HR allowed her to assist organizations with their staffing, recruitment, conflict-resolution, relocation, immigration, succession planning, and employee development needs. Rachel also had the opportunity to manage and coordinate a corporate high school paid internship program allowing underprivileged inner-city students in Los Angeles a chance to obtain true-to-life work experience and mentorship. Rachel enjoys and is passionate about her interactions with people and has greatly valued and embraced opportunities she’s had to serve in the industries she has worked in. She deeply values her faith and spending quality time with family and friends. Yuri is the newest addition to the Kaizen Promotion Office. Welcome to the KPO team, Yuri! Jennifer began her career at Harbor-UCLA Medical Center in 2001 as a Nursing Attendant in 4 East Orthopedic Ward. After five years, she became the Unit Secretary for 4 East. She accepted a position to work in Bed Control in February 2007, where she primarily assist with patient flow and coordination of hospital bed management. In June 2007, Jennifer transferred to the Nursing Quality Improvement Department. Based on her performance, Jennifer’s professionalism and work ethic were highly sought after. In July 2013, she was offered a position in Nursing Administration and worked under the Interim Chief Nursing Officer and Clinical Nursing Director. In March 2016, Jennifer was requested to offer her expertise, skills, and talents to the Kaizen Promotion Office. She accepted the position and is currently working at the Kaizen Promotion Office (KPO) as their office manager. Jennifer brings her experiences and professional demeanor to the KPO. The KPO can rely on her creativity, organizational skills, and high-quality work. In addition, her smile and her presence continue to brighten the office. Her KPO colleagues consider her as one of their valuable team members. In her spare time, she enjoys: helping feed the homeless, relaxing on her off days, cooking, and catching up on the latest Netflix series.